You can run around shooting people or build a railroad. Are you the soldier or the builder? These are the hard questions you have answer in the world of apps. No wait, you can be both because the games are on sale. Hooray for capitalism! 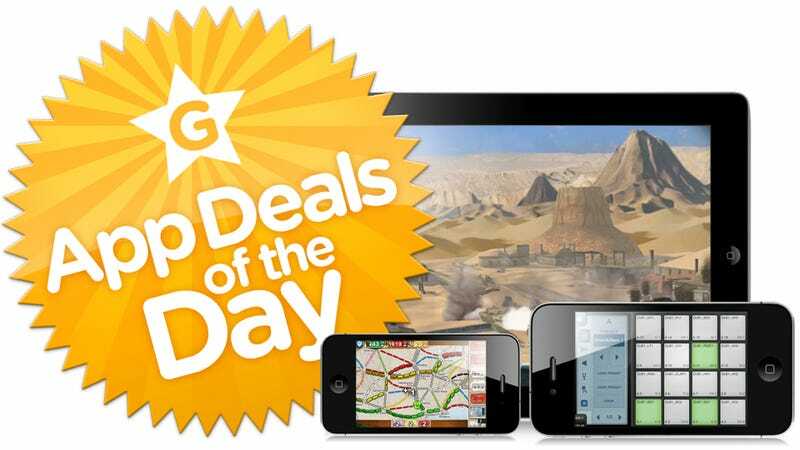 But if shooting and building aren't your thing, you can also be a musician in today's app deals.